We wish you success !!!!!!! To expand, we have current opening for the below position. Job Position :ASP.NETProfessional /Technical Lead/ Technical Architect/ SrSoftwareEngineer & Sr SoftwareDeveloper. Job Location :Chennai &Only those willing to relocate toChennaishould apply. Added Advantage:-Node JS WithRedis ,Angular JS ,Extension JS &N Hibernate, Hl7 Integration,Mobile apps Experience. Notices Period :-Candidates with shorter notice period preferred. (OR)Immediate joiners desirable (OR )(Max 30-60 days) . Note :-Those who are coming for walk-in, if you can confirm me your suitable time within the given period, it will be helpful for scheduling the interview. IfInterested candidatesPlease Walk In directly to below mentioned venue& Kindly carry along withyour updatedCV . 2rd Floor | Ganesh Towers | Luz Church Road | Mylapore |Chennai - 4. Land Mark : Opp. to Alwarpet Anjaneyar Temple & Above Vara mahalakshmi Silks. If you are still reading, interested, and geared up for the challenge then take a look at the current job openings&apply. !! !...Wishing you all the best...!!! 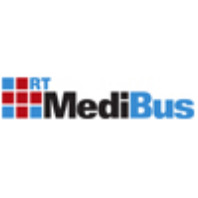 T-MediBus Technologies Private Limited. 2rd Floor | Ganesh Towers | Luz Church Road | Mylapore |Chennai - 4.